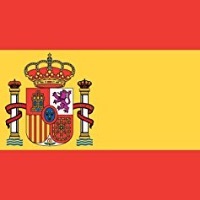 We are delighted to announce that Spain has submitted their application to join Instruct-ERIC as a full member. Following the CONTINUED strong support from the Spanish government TO INSTRUCT, the Spanish Ministery for Research formally applied in July for Instruct-ERIC membership. Spain has been part of Instruct from its very early days, lately being a signatory of Instruct-ICA (for International Consortium Agreement), that was the legal support for the "pre-ERIC" structure of Instruct. We are all looking forward our work together in the new Instruct-ERIC, a work that coincides with a period in which the general social and political perception of Science in Spain is changing, becoming much stronger than in the past. We look at the future in a very positive way, and we are sure the new Instruct_ERIC will be the ideal instrument to address many strategic and long term questions regarding the impact of structural biology in all aspects of sociate. 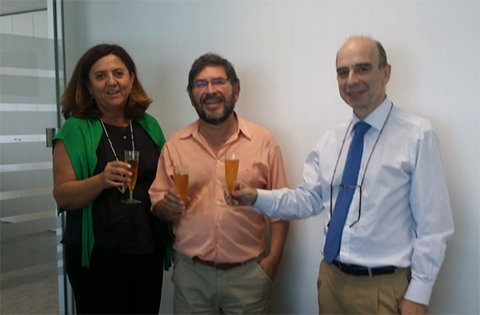 At the Ministry of Science after the oficial Spanish application, with top staff of the viceDirectorship General for Internationalization for Science and Technology. Benjamin Sanchez and Inmaculada Figueroa at the sides, and Jose-Maria Carazo, Director of the Spanish Center, at the centre.